The horror genre is on a roll right now and seemingly everyone is attempting to capitalize by rebooting long-dormant properties for another go around. While plenty of horror icons created decades ago are returning to the big screen in the near future, another series that began at the turn of the millennium is also getting a reboot. Final Destination is coming back to prove that clever and gory deaths never go out of style. 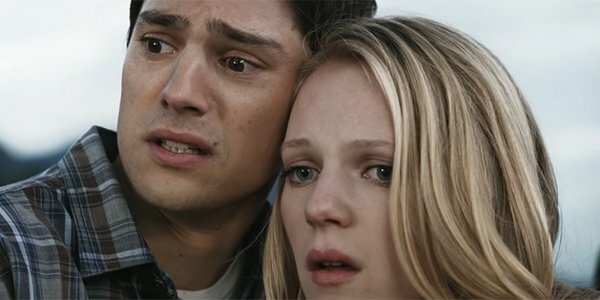 New Line Cinema has tapped two veterans of the Saw franchise to bring back its Final Destination franchise. Patrick Melton and Marcus Dunstan, who previously scripted four Saw films together, have been brought aboard to write the screenplay for the Final Destination reboot, according to The Hollywood Reporter. The reboot is being described as a re-imagining of the franchise, but no specific plot details or a target release date have been revealed as of yet. The Final Destination franchise was good to New Line, with five films from the first in 2000 to the last, Final Destination 5, in 2011, grossing almost $ 700 million worldwide on small budgets. That low budget model is the bread and butter of the horror genre, and New Line has found recent success with it via its highly lucrative Conjuring Universe. So New Line knows how to make horror work and is looking to bring in more of that money with a reboot of Final Destination. The Final Destination films also had a very simple and easily replicable premise wherein a character would have a premonition of a death via some sort of calamity. The character would then attempt to avert the disaster and save their own and other people’s lives, thus cheating death. But when you say ‘not today’ to the god of death, he doesn’t take too kindly to it. So Death would then look to take what he is owed, coming after the survivors and claiming their lives through increasingly elaborate and clever means. The Final Destination franchise always had a tongue in cheek quality to it, especially as the franchise went on, becoming more ridiculous with the gore and the hilarious absurdity coming in equal measure. Seeing a Final Destination movie was very much about seeing what clever ways each successive film found to kill people, and with the writers of four Saw films on board for the reboot, I expect there will be more of that to look forward to with this reboot. Although I’m not sure exactly what the ‘re-imagining’ will be, so hopefully whatever it is makes this reboot feel fresh and not just like Final Destination 6. Those looking to get a taste of what Patrick Melton and Marcus Dunstan’s work can check out Scary Stories to Tell in the Dark, in theaters on August 9. For all of the reboots, sequels, remakes and original movies hitting theaters in 2019, check out our release schedule.